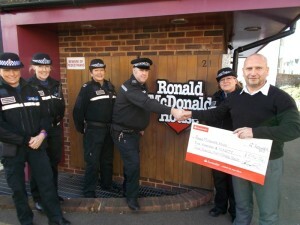 Brighton police officers handed over a cheque for almost £600 to Ronald McDonald House in Kemp Town. They donated £594.33 to the charity which is based opposite the Royal Alexandra Children’s Hospital. Ronald McDonald House provides free accommodation to families with children and premature babies in the hospital. 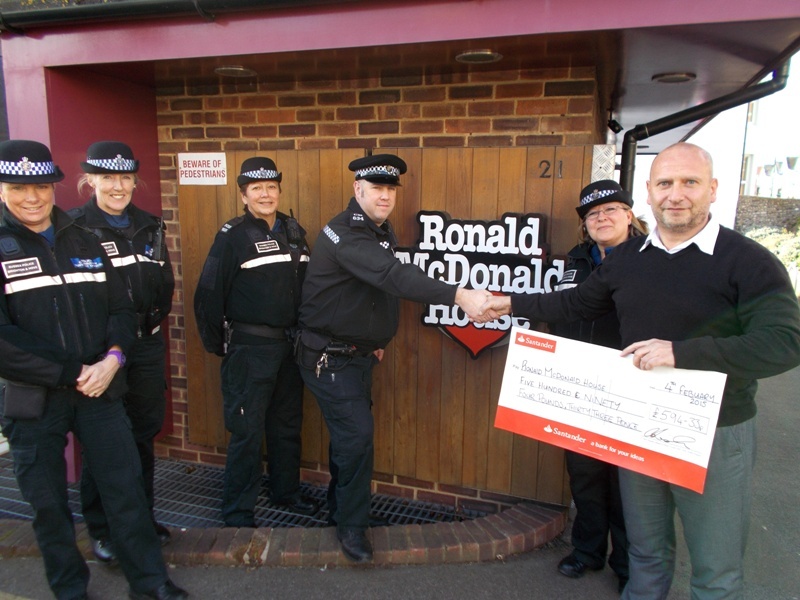 The donation was collected from the public by Sussex Police officers from the Brighton Neighbourhood Policing Team over the Christmas period while providing crime prevention information. PC Jason Morgan said: “I would like to thank everyone for their kind donations.